You might not think to come to Omlet when looking for presents for your children, but we have recently eggspanded our range and we have a great variety of toys and gifts that kids will love. We are particularly pleased with our selection of Traditional Toys that have been made with lots of love, care and attention. With school holidays less than two weeks away you might be wondering how you’ll keep the kids amused, so why not stock up on a few terrific toys that you can surprise them with now and again? This week get 10% off all Traditional Toys! 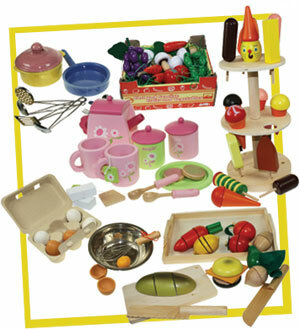 Buy Toy Kitchenware Set for just £4.45! Buy Toy Mini Picnic Set for just £5.99! Buy Hand Puppet Chicken for just £5.99! Get 10% off Traditional Toys!